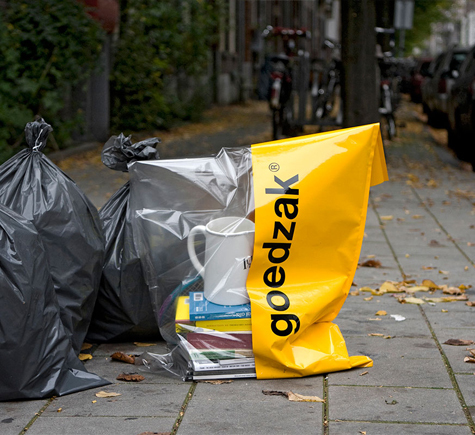 Goedzak is a special "trash" bag for items that you no longer want but are still in good condition and probably desirable to others. If Goodwill or Craigslist are improbable or inaccessible, this packaging is an excellent solution. Designed by Simon Akkaya/Waarmakers.